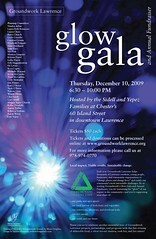 Join the celebration at Glow! 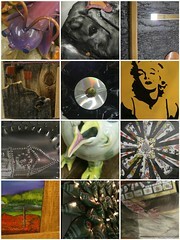 MORE INFO: The eco-art silent auction offers many great pieces valued from from $20 - $400. The art is from novice and expert artists as well as some pieces from Lawrence high school students. Come enjoy the sweet sounds of Los Sugar Kings, food from Sandrino's Catering highlighting our friend Farmer Dave and a cash bar. Not only could you walk away with some local sporting team tickets, beautiful art or an evening out, you could also win many great raffle prizes. There is something for everyone - we hope to see you there! Tickets may be purchased online, by phone, mail or at the door.